It’s safe to say that Kimand Kanye’s wedding has become the most talked about event of the year. After hooking up in 2012, the couple have been in the spotlight ever since and even more so when their baby girl, North, arrived last summer and they announced they were to tie the knot. The couple wed with a lavish wedding ceremony in Florence in Italy and Kim wore a mermaid-silhouette gown, custom made by Givenchy Haute Couture. What’s next for the couple? Reports are already speculating that the couple are trying for another baby. 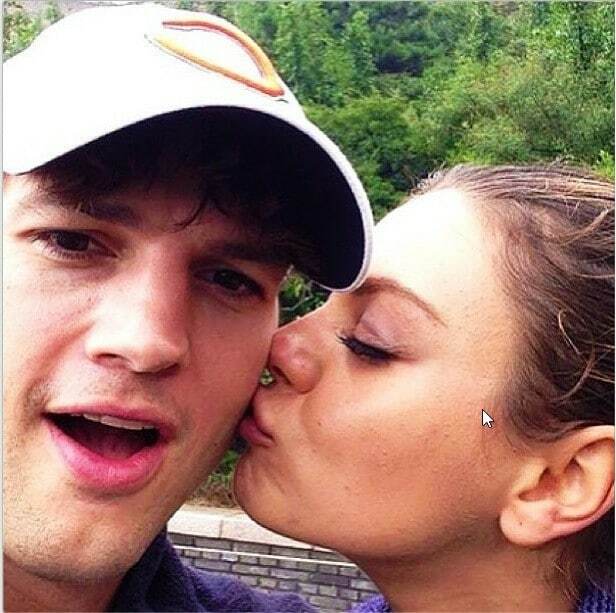 After dating for two years, this year in particular has been an exciting one for Mila and Ashton. In the space of two months, the couple have announced their engagement, and that they are expecting their first child together. According to the Daily Mail, Ashton and Mila are moving into a recently purchased $10 million home in Beverly Hills, and plan to marry after their baby girl has arrived. With parenthood and a wedding on the way, the two have a lot to look forward to this year. They aren’t the first celebs to start dating after starring in a Hollywood film together, but they may just be the cutest yet. Emma and Andrew have been dating since meeting on the set of the first installment of the new Spider-Man films and have since been seen inseparable. The pair are always being photographed having fun and looking totally besotted with each other, and recently opened up about their relationship after the screening of Spiderman 2 in April. This young couple met on the set of The X Factor in 2011 and ever since they announced their engagement in 2013, they’ve been under everyone’s watchful eye. In April, they shared their two year anniversary which according to the Mirror, Perrie marked with a cute photo collage of the pair. One Direction and Little Mix fans are now awaiting to hear what the couple have planned for their big day. Emma Stone and Andrew Garfield have managed to keep tongues wagging. Literally…. He might be the president of the USA, but that doesn’t stop Mr Obama showing his love for his wife. The First Couple are constantly seen openly flirting and are known for lots of public displays of affection. Many of their intimate moments together continue to be photographed and published to the world, showing their relationship truly is as solid as a rock! After being married for 21 years, Mrs Obama recently revealed that Barack never forgets a Valentine’s Day or a birthday! 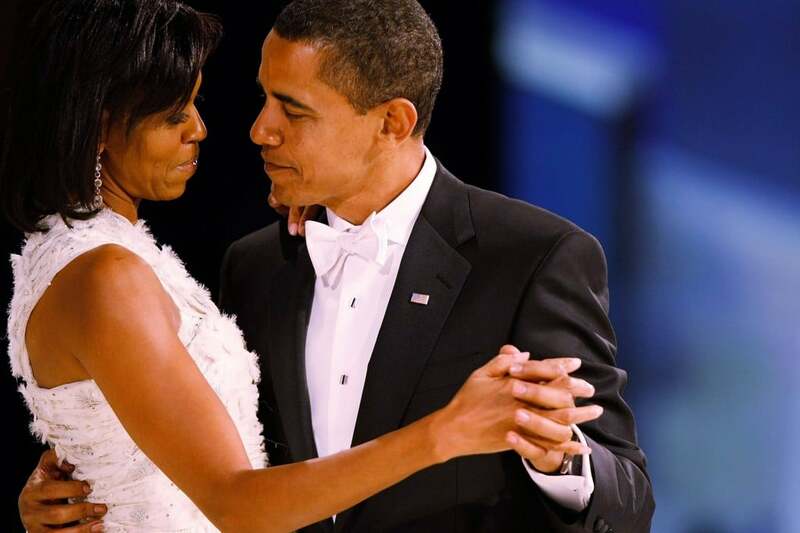 Spending Valentine’s Day apart this year didn’t stop the couple from showing their affection either; Michelle sent her husband a message on Instagram with: “I’ll always be your valentine! #HappyValentinesDay,”, next to three photos of herself and the President laughing. 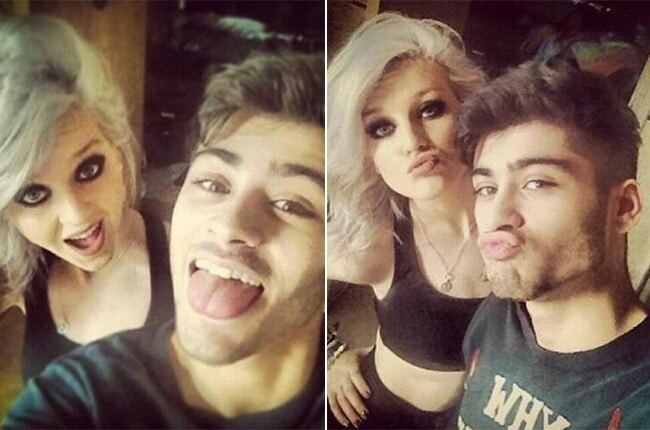 Zayn Malik and Perrie Edwards via instagram, very much smitten with each other. The Obamas are still keeping the magic alive and how!